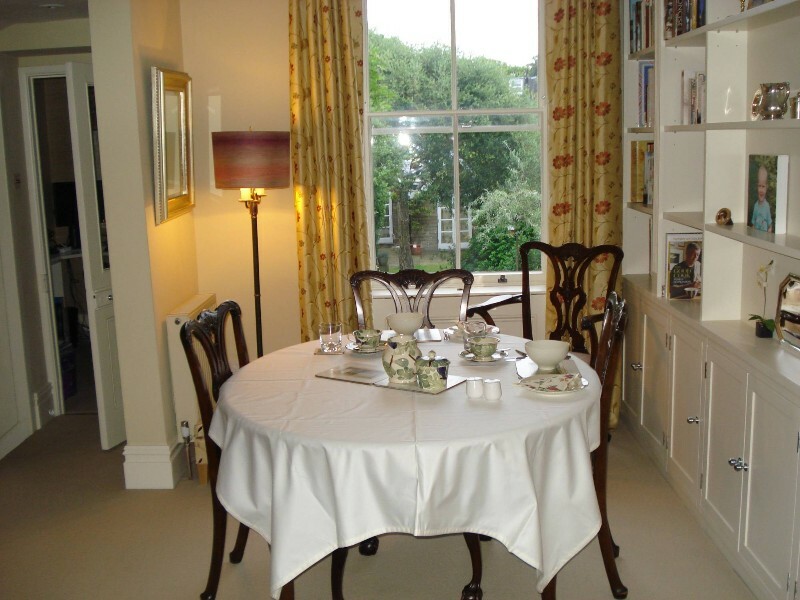 An exclusive Bed & Breakfast in Wandsworth Common, South West London, SW17. Located in the grounds of a family house, Althorp Lodge has its own private access and is secluded and quiet. 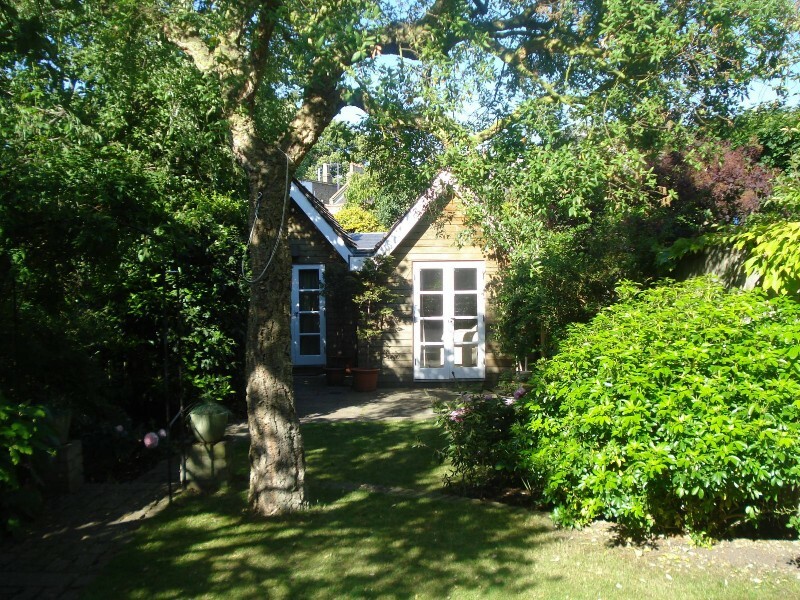 Self contained lodge in the grounds of a family house with Its own private access. Exclusive with only one bed & breakfast booking taken at a time. 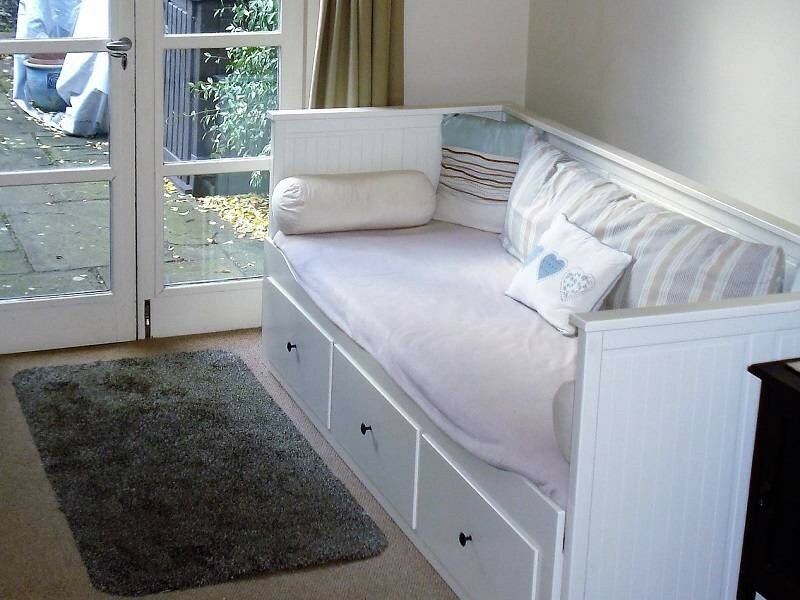 Accomodation includes a double bedroom with en-suite bathroom and separate living room. 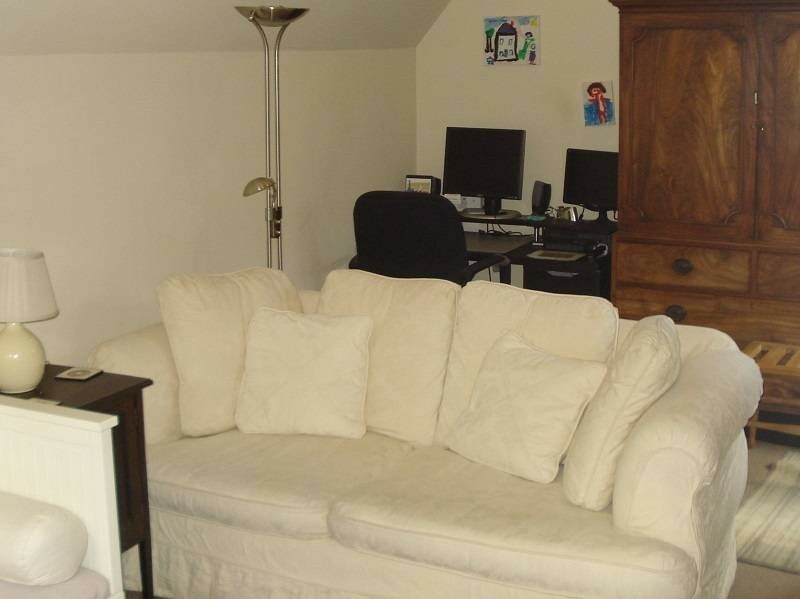 Additional sleeping available in the Separate living room area. Lodge has its own private patio area. 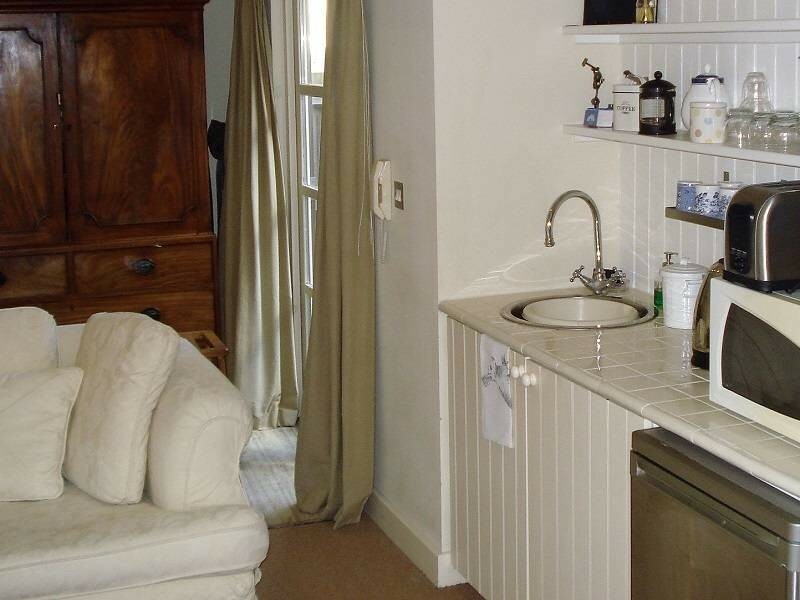 Fridge, kettle and microwave oven along with crockery and cutlery. Three minute walk to Wandsworth Common rail station (12 minutes into London). A stone's throw away from the Beautiful open spaces of Wandsworth Common. Michelen starred restaurant, Chez Bruce, is a two minute walk away. A large mix of pubs and restaurants all within less than a five minute walk. Please contact us using the form below or call us to enquire about the availability of the lodge. "What a perfect "country house" in London. Thank you all very much and, especially to Fudge (the cat) for being so cuddly and friendly. She made our stay!" "Wimbledon was a great experience, made more so by starting and finishing our days here. Thank you Vicky. See you next year with luck." "A lovely oasis of English charm. A great retreat from the hussle and bussle of London/city rushing! Thank you for your kind hospitality." Thank you for enquiry. We will endeavour to respond as soon as possible.